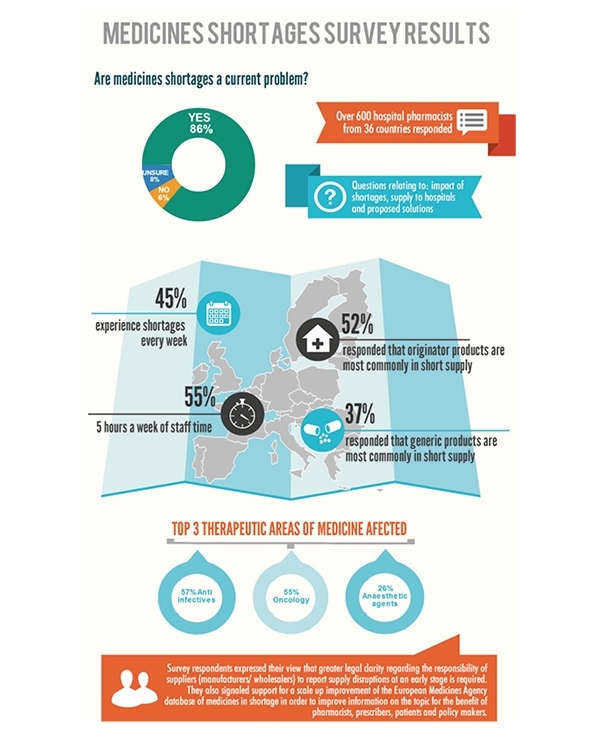 EAHP's 2014 survey of medicines shortages in European hospitals was the largest investigation of its kind, with over 600 responses from 36 European countries. 75.4% of hospital pharmacists either agreed or stongly agreed with the statement "medicines shortages in my hospital are having a negative impact on patient care." Reported impacts for patients include delayed or interrupted chemotherapy treatment, unnecessary experience by patients of side effects, heightened clostridium difficile risk and deterioration in patients' conditions.